The world is a wondrous place just waiting to be explored, and there’s hardly a more in-demand destination than a great beach. From the Caribbean to Australia to Iceland, the number of mind-blowing beach destinations is unbelievable. 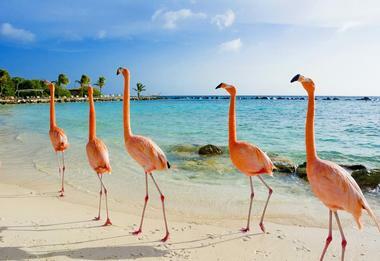 Travelers can visit a wildly popular iconic beach like Australia’s Bondi Beach, or Seven Mile Beach on Grand Cayman. 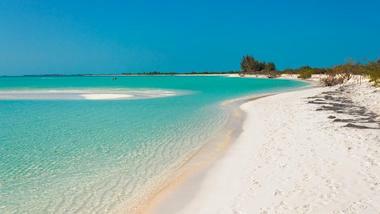 Secluded beaches also abound like Playa Paraiso in Cuba, or Cayo de Agua, Venezuela. Seekers will find beaches with hot springs, and others with a mysterious maze of granite boulders. These 25 beaches from around the world are guaranteed to inspire and astonish even the most voracious travelers. Anse Lazio is a secluded beach on Praslin Island in the Seychelles. The half-mile-long beach has powdery white sand edging turquoise water that is often flat and glassy. It’s the perfect place to swim or snorkel. It takes some effort to get to this beautiful beach though. You have to walk a path that goes up and over a forested hill. Another option is to take a daytrip from Mahe and arrive by water. Even though the beach is physically secluded, it’s still plenty popular, so to have a more relaxing experience, visitors should go in the morning or for sunset. 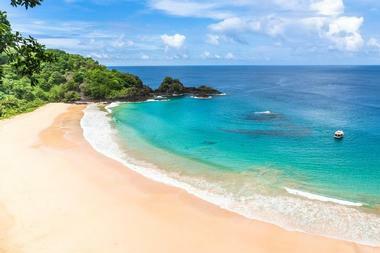 Baia do Sancho Beach is located in the Fernando de Noronha archipelago off the northeast coast of Brazil. The beach can be reached via an island trail, or by boat. A surreal ambience is created by the soft white sand beach, crystal clear emerald waters, and surrounding towering cliffs. The archipelago is a protected marine park, so there are times of the year when beach access at Baia do Sancho is limited. Visitors traveling to the island during rainy season (February through June) need to be off the beach by noon when it closes for egg-laying turtles. Visiting during rainy season offers an added bonus of two gorgeous waterfalls that cascade from the cliffs to the sea. 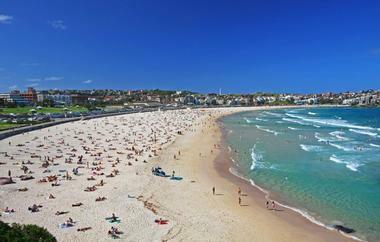 Bondi Beach is one of Australia’s most famous beaches. This iconic 1.5 km stretch of sand offers a laidback beach culture visitors are sure to love. Sandstone headlands are at either end of the beach offering a coastal walking experience with epic views of the beach and ocean. This part of the ocean is one of the best for snorkeling and diving. The waves at the south end of the beach are dotted with skilled surfers, and there are plenty of surf schools to help visitors up their own skills. Campbell Parade is a street overlooking Bondi Beach where swimmers can grab fish and chips to-go. 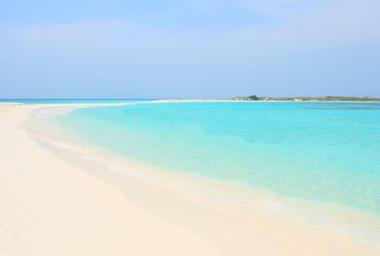 Los Roques is a Venezuelan archipelago in the southern Caribbean about 100 miles north of Caracas. This protected national park consists of over 50 islands. The Great Rock (Gran Roque) is the largest and only populated island in Los Roques, and serves as the transportation hub of the archipelago. From Gran Roque visitors can join catamaran charters to one of the smaller islands. Cayo de Agua is a catamaran ride away where visitors can swim and snorkel crystalline waters or lounge on the powdery white sand beach of this deserted island. It’s so idyllic, it’s almost unreal. 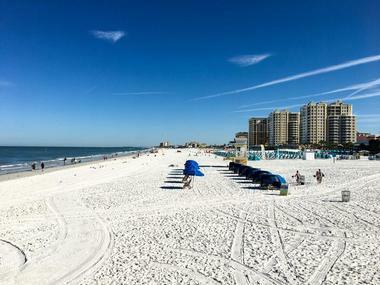 Clearwater Beach is about as close to perfect as a beach can get with its sugar-fine, white sand leading to gorgeous calm waters. Visitors can engage in several watersport activities like parasailing, stand-up paddleboarding, and jet-skiing. A wide promenade winds its way along the beachfront with numerous cafés and restaurants along the way. Pier 60 extends from the beach over the water and provides a magical space for beachgoers once the sun begins to go down. The pier is a popular place to watch the sunset. At dusk, the pier is alive with buskers, crafters, and local artisans while music pours from Pier 60 Pavilion. 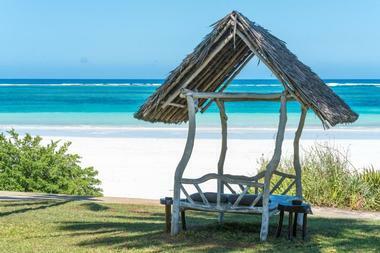 Diani Beach on Kenya’s Indian Ocean coast is consistently rated the top beach destination in Africa. A trendy beach resort, this 11-mile-long stretch of beach is a popular place for sky diving, jet skiing, kitesurfing, and snorkeling. There’s always plenty to do, even if it’s only wading across underwater sandbars and studying the sandy bottom. At low tide, slipping on some water shoes and exploring the section of beach exposed at low tide yields plenty of shells and coral. Known for its coral reefs, this is also a great place to snorkel. Another fascinating aspect of the beach is that it’s backed by extensive vegetation and palm trees, home to black-and-white colobus monkeys. Travelers itching to explore Bali’s ‘hidden’ beaches will want to include Dreamland Beach. Living up to its name, this white sand beach is surrounded by limestone cliffs offering the seclusion beachgoers crave. Dreamland Beach is located along the otherwise craggy coastline of Bukit Peninsula that has seen huge development in recent years. Still, the beach manages to hang onto its rugged charm. Beachgoers can rent beach gear like chairs and umbrellas, or get an oceanfront massage. Surfers will love the waves in front of the beach, but advanced surfers will head to either end of the beach to the Balangan or the Impossibles – world-class reef breaks. 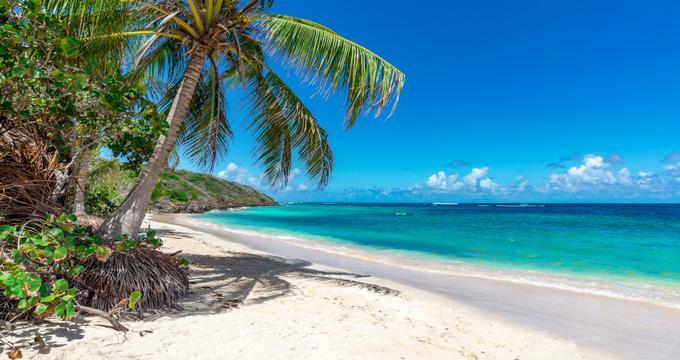 Flamenco Beach in Culebra, Puerto Rico has been hailed the world’s second-most beautiful beach by the Discovery Channel. 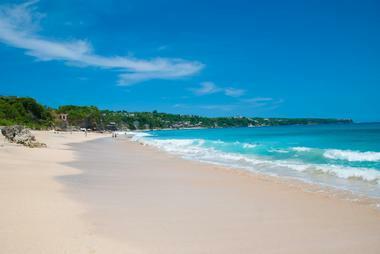 This easily accessible beach is a prime location for sunbathing, snorkeling, swimming, lounging around, and even camping. The beach’s soft white sand stretches the entire length of Flamenco Bay offering visitors plenty of room to spread out and enjoy the Caribbean sun. Several beach vendors supply tents, umbrellas, chairs, camping gear, and barbecue gear, along with drinks and food. This stretch of beach is also the only place to camp on Culebra Island. Guests will be able to take freshwater showers during early evening. There is also potable water, and bathrooms. 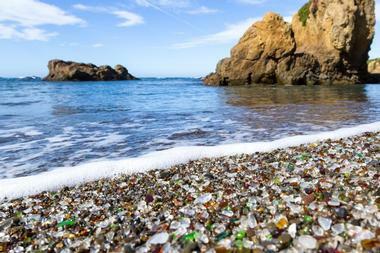 Glass beach used to be wildly popular with artists and jewelers because of all the sea glass the beach is named for. Conservation efforts to keep the sea glass from disappearing have made it so the only souvenirs visitors can take from the beach now is photos. The colorful sea glass treasures are the result of the ocean wearing on discarded glass bottles and jars from a trash dump site. Beachgoers can access the otherwise pebbly beach via a wide path from the Glass Beach Road parking area. Kids will love the colorful beach too, but the water is unpredictable and sometimes dangerous. It’s a great place for tidepooling, hiking, and beachcombing at low tide. 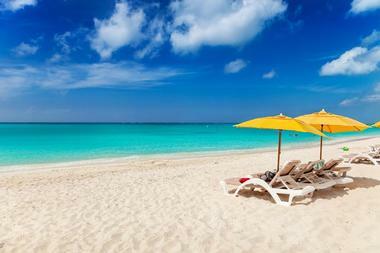 Grace Bay Beach is located on the island of Providenciales, also known as Provo, in the Turks and Caicos Islands. Provo Island is both the most developed and the most loved, regularly earning “Best Beach” accolades from the World Travel Awards. On the island’s northern end, Grace Bay Beach provides visitors with an astounding 12 miles of glistening white sand, turquoise waters, and a coral reef with ample aquatic life – perfect for snorkelers. This part of the island is also home to Princess Alexandra Marine Park, Conch Farm, and various watersports like wakeboarding, diving, and fishing. Hot Water Beach sits along the coast of Coromandel Peninsula on its eastern side. This New Zealand beach offers visitors a unique combination beach and hot springs experience. Visitors will want to get to the beach an hour before low tide (tide schedules are on their website) for the best experience. Hot Water Beach Store rents spades to take to the beach and dig a personal spa. Staying in the window of two hours before low tide and two hours after will provide plenty of ‘spa’ time. The two hot springs at the beach issue forth hot water from geothermal springs at a temperature of 147F, so visitors will want to use caution building their personal pools. Maho Beach is located along the shores of Maho Bay on St. John Island in the U.S. Virgin Islands. This Caribbean beauty is prized by islanders and tourists alike for its glistening white sand, and coconut palm shaded areas. This narrow beach is perfect for families with kids. There is plenty of both sun and shade on the beach, the surf is light, and the water entry is shallow. The ocean bottom is sandy for at least 20 yards out, making it a great place for swimming, floating, wading, or just hanging out. The shallow shoreline sets the perfect conditions for sandcastle building. 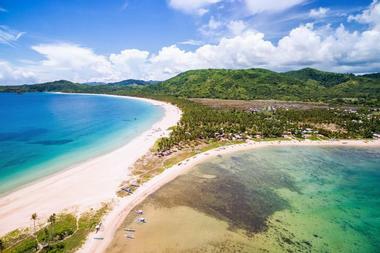 Nacpan Beach is one of two ‘Twin Beaches’ in El Nido, on Palawan Island in the Philippines. This expansive 2.5-mile-long, white sand beach is fringed with coconut palms and provides visitors with a tranquil ambience. To get there, travelers will have to snag a tricycle in El Nido for the hour-long trip to the beach. Other options are to rent a rent a motorbike for an independent day-trip adventure, or to join a guided tour like Inland Beaches and Waterfalls Tour (Tour E) where Nacpan Beach is a stop along the way. One thing is for sure, visitors can count on the beach not being overwhelmed with tourists. It’s a good choice for a private getaway. 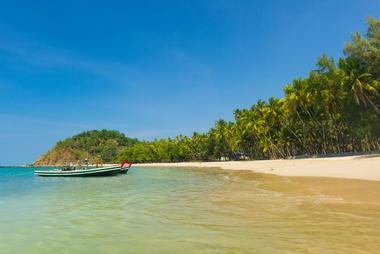 Ngapali is the self-described premier Myanmar beach destination. Located in Rakhine State, the beach fronts the Bay of Bengal with an idyllic palm-lined white sand stretch hosting several resorts and a traditional fishing village. Travelers here can look forward to beach lounging, swimming, snorkeling, kayaking, scuba diving, and fishing. On land, visitors can motorbike or cycle along the beach and through local villages, play a round on an 18-hole golf course, or surf. Local fishing villages give travelers an opportunity to experience everyday culture. There are several independent beachside restaurants serving fresh seafood, including giant lobsters. A little more than three miles northwest of Oranjestad on the island of Aruba lies a well-developed resort area along stunning Palm Beach. The dazzling Caribbean waters here are calm, and the two-mile-long sandy beach is backed by numerous bars and restaurants. Besides the glamorous resorts and hotels on the beach, visitors will also find several watersports vendors ready to offer a good time. South of the beach, Bubali Bird Sanctuary offers another fun experience, including climbing the observation tower for epic views. Other highlights include Old Dutch Windmill, the Butterfly Farm enclosure, and Jolly Pirates sunset and snorkel sails. Spain’s Formentera Island is often dubbed the Caribbean of Europe. 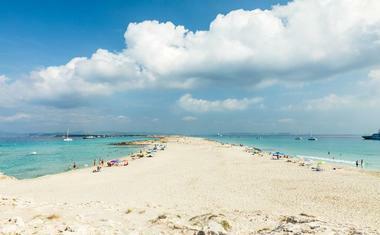 Playa de Ses Illetes is one of many white sand beaches on the island that lead to crystal clear, turquoise waters. The water is so clear at this beach that the most pressing activity is snorkeling. Consequently, nearly every store sells a cheap snorkel set for holiday use. Typically, the beaches of Formentera are less crowded than the more popular Ibiza, but during the hot summer months, even this beach can become crowded. It’s especially true because the long beach is quite narrow. Visitors can expect lots of upscale restaurants and bars. Located on Cayo Largo’s west end, Playa Paraiso is a powdery white sand beach about three miles from the nearby hotel zone. 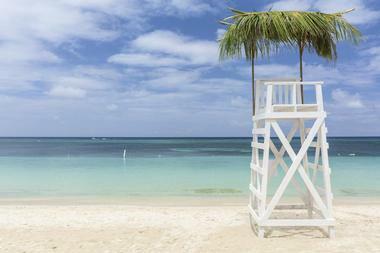 This gorgeous, secluded beach lives up to its name – Paradise Beach, in English. The calm sea makes this beach an enviable destination when compared to the rougher waters of the hotel zone. Beachgoers will find a few amenities here like lounge chairs and beach umbrellas, plus a small beach bar with snacks that also has a shaded terrace. Playa Paraiso is a popular destination for naturists on its east end. There are no watersports activities here, and if shade is a must, bringing a personal beach umbrella is a good idea. Every year, young people flock to Santa Teresa Beach for its scenic ambience and amazing surf conditions. This pristine area is free of high-rise structures and over-developed tourist attractions. 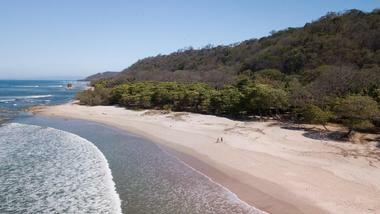 The long, broad, sweeping white sand beach is nestled between consistent waves and jungle-covered hills. Expert surfers will appreciate this stretch of water with its challenging beach breaks and point breaks. Novice surfers will want to stick with Playa Carmen, a few miles to the south. Recently, new restaurants and hotels are cropping up in the area, so beachgoers may want to visit this beach sooner than later. Seven Mile Beach on Grand Cayman Island has been named to numerous ‘best beaches’ lists and is home to some of the most luxurious residential properties in the Caribbean. 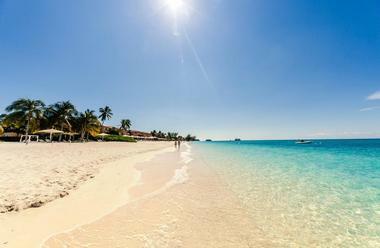 The sparkling turquoise waters and white coral beach make this an ultimate beach destination. The entire length of the beach is public, so vacationers can stroll it unimpeded. A beach walk reveals several beach bars and resort restaurants. Besides lazing a day away watching the surf, there are watersports activities like parasailing, snorkeling, and scuba diving Cemetery Reef to indulge in too. Seven Mile Shops are nearby for some retail therapy in paradise. Gippsland in southeastern Australia is home to several beautiful beaches, including Squeaky Beach. 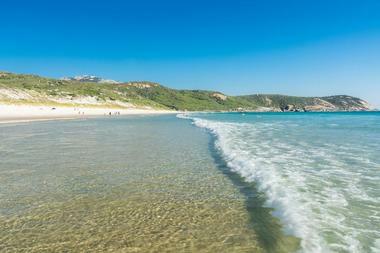 Known as one of the most iconic beaches at Wilsons Promontory. It gets its name from the squeaky sound of quartz grains underfoot when walking along the white sand beach. The vista from Squeaky Beach includes granite-studded headlands and distant islands. Adventurous travelers will love the orange-hued, giant granite boulders that form a maze of curious passages. At sunset, this area at the north end of the beach is even more magical with the changing colors. Travelers can access the beach from Squeaky Beach parking lot, Lilly Pilly Gully parking lot, Tidal River, or Picnic Bay. 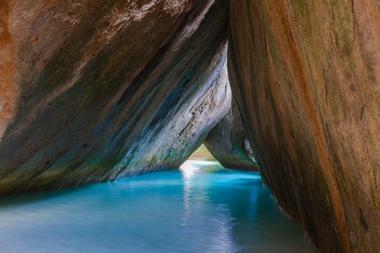 The Baths of Virgin Gorda are the ultimate must-see attraction in the entirety of the British Virgin Islands. This is a stand-out attraction in the archipelago due to the mesmerizing gray boulders rising from the clear blue ocean. These smooth, slippery rocks create an irresistible swimming and wading maze that’s best explored with swim shoes. Highlights include Devil’s Bay, a secluded beach perfect for snorkeling and sunbathing, and the Cathedral Room, a natural pool inside a cave. Located at the southern edge of Virgin Gorda, there is also a restaurant up the hill from the beach. There is a small fee for visiting The Baths, and children under 11 are free. A world famous, black sand beach located on Iceland’s South Coast, Reynisfjara Beach is nestled next to the tiny fishing village of Vik i Myrdal. 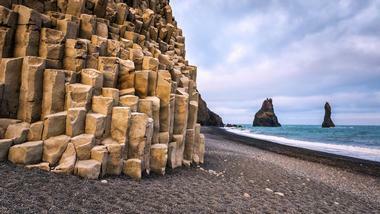 Considered one of the finest examples of the country’s black-sand beaches, Reynisfjara Beach was named one of the ten best non-tropical beaches on the planet by National Geographic. The beach gets its black color from volcanic lava. Its shores are known for stacks of basalt rock and its magnificent cliffs to the west of the beach. The latter serves as home to a variety of seabirds, including fulmars, guillemots, and puffins. An almost entirely manmade beach located along the south shore of O’ahu, Waikiki Beach is a two-mile, white sand beach featuring seven distinct sections. Duke Kahanamoku Beach is a popular swimming area featuring a protected seawall and popular Fort DeRussy Beach Park. Gray’s Beach is one of the oldest sections of Waikiki Beach, and Prince Kuhio Beach is ideal for families with kids. San Souci Beach is also a great choice for families, especially in the morning when the water is calm and many locals are swimming laps here. 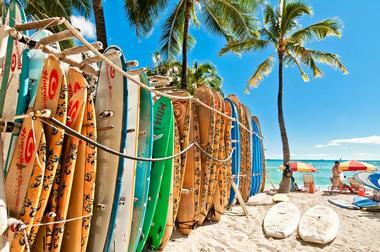 Royal Hawaiian Beach is where visitors can charter a catamaran, or take a Hawaiian outrigger canoe ride. Queen’s Beach is home to 1000-foot-tall outdoor movie screen and is also a section of Waikiki Beach. Located on Roatan’s west side, West Bay Beach is a gorgeous white sand beach surrounded by the world’s second largest barrier reef. Ranked as the fourth best beach in the world for snorkeling by a prominent publication, it should be no surprise it’s the beach’s most popular activity. Boat tours aboard Coral Reef Explorer are another beach favorite. This specially-made, glass-bottom, semi-submersible boat allows visitors to sit six-feet below the surface of these crystal-clear waters to observe the entirety of this impressive coral reef without getting wet. 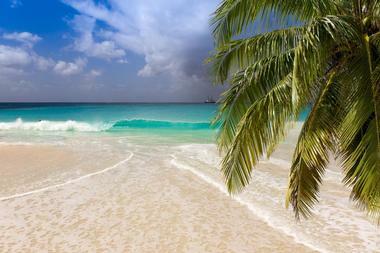 The beach is also famous for its annual, international free-diving competition, the Caribbean Cup. 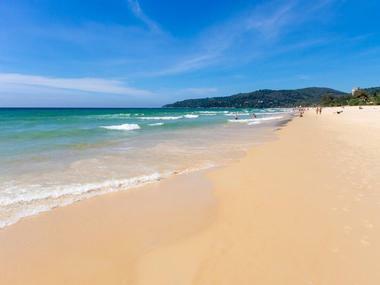 The third longest beach in Thailand, Karon Beach is a 3.1-mile white sand beach known for the sound the sand makes when people walk on it - a squeaking noise. Its crystal clear, still waters make it a popular destination during high-season, which is November to March. During monsoon season travelers are cautioned to pay attention to beach warning flags, and to only enter the water when lifeguards are on duty. Riptides and dangerous swells are common during this time. Karon Beach offers a variety of beach activities including swimming, wakeboarding, waterskiing, snorkeling, and windsurfing. Visitors can also partake in banana boat rides, jet-ski rentals, and parasail adventures.